Climate change will have a dramatic impact on agricultural production in Africa. Over the last century, temperatures across the continent increased by around 0.5 degrees Centigrade. If this trend continues as expected, extreme heat waves and droughts are likely to become more common. Climate estimates suggest that there could be an average rise of 4 to 6 degrees centigrade in Africa in the 2071-2100 period relative to 1971-2000. 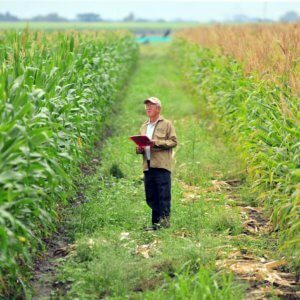 Corn growing regions in southern Africa are particularly vulnerable, with yield losses for South Africa and Zimbabwe predicted to be in excess of 30 percent. 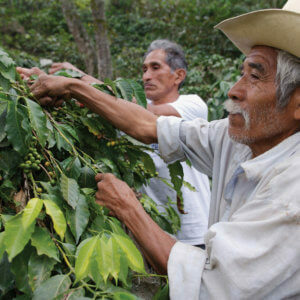 Notable export crops such as tea, coffee and cocoa also are expected to suffer. And with Africa’s population projected to swell from 1.3 billion to 2.5 billion by 2050, the continent will be pressed to increase food production in the face of intense droughts and desertification, particularly in the Sahel region. 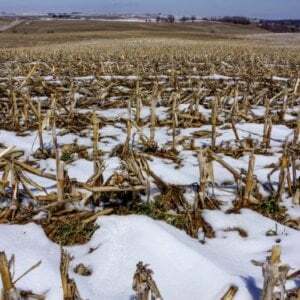 Many scientists and crop researchers see genetically engineered crops and animals as key to the continent’s hopes for coping with climate change, going forward. Even as many African nations are still struggling over whether to allow the commercialization of GMOs, researchers are pushing to develop new seeds and animals to counter the rising threat. One of the reasons Africa is so vulnerable to climate change is the relative lack of irrigated farm land. Only 6 percent of the continent’s farmland is irrigated. Most of agriculture relies on rainfall, which is likely to become sparser as droughts, like one that devastated southern Africa in 2015-2016, become more common. Crop output also is vulnerable to an increase in weeds, pests and diseases. Livestock also is vulnerable to climate change, with an expected increase in the incidence of diseases via parasites and pathogens, degraded pastureland and reduced forage and water availability. The impact of climate change could be mitigated by GE technologies. Efforts already are underway to develop drought resistant crops. Monsanto for example has created a drought-tolerant corn called DroughtGuard, approved for cultivation in the US in 2011. It includes a protein from the bacterium Bacillus subtilis that helps keep corn growing amid water shortages. Argentina already has approved the commercialization of an herbicide and drought-resistant soybean. The developer claims yields increase by 14 percent under drought conditions. Scientists there also are working on drought resistant wheat. Peggy Lemaux, a specialist in biotechnology at the University of California, Berkeley, is leading a group of scientists trying to create drought-resistant sorghum. If successful, it could lead to the development of other drought resistant-crops, including tomatoes and rice, she said. Scientist at the University of Cape Town are studying Myrothamnus flabellifolius, the so-called “resurrection plant” that can bounce back from complete water deprivation. 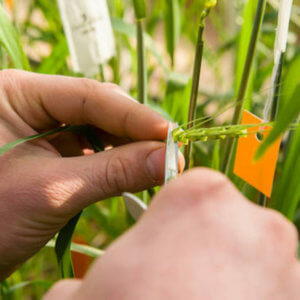 They want to know whether its genes hold the answer for creating drought-resistant crops. They are particularly interested in genetically modifying teff, an African grain high in protein. In Africa, the Water Efficient Maize for Africa (WEMA) project has developed conventional drought-resistant corn hybrids, and GM varieties of corn that are both drought tolerant and insect resistant. WEMA is a public-private partnership that receives funding from the Bill and Melinda Gates Foundation, USAID and the Howard G. Buffett Foundation. Also involved are the African Agricultural Technology Foundation, the International Corn and Wheat Improvement Center, Monsanto and the National Agricultural Research Systems (NARS) from the participating nations: Kenya, Uganda, Tanzania, South Africa, Ethiopia and Mozambique. WEMA is hoping that by 2023, GM corn it developed to resist droughts will be grown in Kenya, Uganda, Tanzania, Ethiopia and Mozambique. Another effort utilizing genetic engineering in Africa to produce drought-resistant crops is the Nitrogen-Use Efficient and Salt Tolerant (NEWEST) rice project. It is a collaboration between Uganda, Ghana and Nigeria that is funded by USAID to breed rice varieties that use water and nitrogen efficiently. Field tests of the rice are being conducted in Ghana. Genetic engineering also could make livestock more tolerant to heat and less susceptible to diseases that may increase as temperatures rise. CRISPR is going to bring animal genetic engineering forward a lot faster, and we are going to start to see CRISPR animals. Heat stress is a principal factor limiting production of animal protein and negatively affecting health and welfare of cattle in subtropical and tropical regions, and its impact is expected to increase dramatically due to climate change…the ability to cope with heat stress is imperative to enhance productivity of the US livestock industry and secure global food supplies. Given the threat that climate change poses to Africa, it will be imperative that it adopts GE solutions to grow crops and breed its animals for heat resistant and drought tolerance. Without such efforts, African livestock and agriculture will be at the mercy of rising temperatures and increasing cycles of drought which will make it more difficult to feed its swelling population.